Thank you Church & Dwight for sponsoring this conversation about Holiday Hair. I have the hardest time trying to come up with great holiday hair styles. For years, I pretty much just kept my hair the same way- long and boring. It’s too thick to do anything with. I straighten it sometimes, but that takes forever! This year, though, I’m ready to try something new. I chopped off over a foot about a month ago! I didn’t mean to go that short (it’s still just below my shoulder). I like it though, it’s so much easier to work with. If you’re looking for tips and tricks for fabulous holiday hair, our friends at Church & Dwight have you covered. Best of all, their tips don’t take hours to accomplish! The secret? 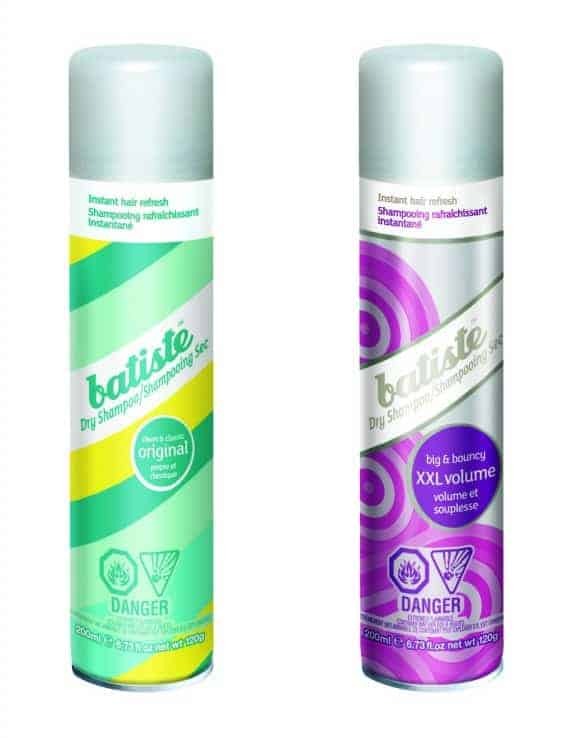 Batiste™ Dry Shampoo! Batiste™ Dry Shampoo Original uses an amazingly innovative technology that allows you to go about your day without having to worry about dull, oily hair. With just three simple steps, this classic dry shampoo is perfect for on-the-go or in-between washes. Start by shaking the can and spraying it into the roots. Finish by massaging with your fingertips, then brush and style as usual. Ladies, forget the impossible-to-mimic hairdos, and leave your curling irons and hot rollers to rest! With just a few spritzes of Batiste™ Dry Shampoo XXL Volume, you’ll be instantly crowned the winning mane of any party. Formalized for extra volume and bounce, you’ll go from dull, flat hair, to a lasting salon-like finish! After all the errands you’ve been crossing off the list this season, it’s time for some much needed pampering. Chic up your look with a touch of floral and flirty scented Batiste™ Dry Shampoo Blush. Your lovely locks will look and feel revitalized with its irresistibly feminine fragrance. So much to do, and so little time! That’s why it’s always important to be extra prepared. Thank goodness Batiste™ Dry Shampoo perfects your hair everywhere you go. Batiste™ Dry Shampoo Original Travel Size 50ml spray is small enough to fit into your holiday clutch, yet strong enough to finish the job. Take your mind off oily tresses sneaking up on your evening, and enjoy the rest of the festive season! What are some of your fabulous holiday hair this season? I have two hair styles: up and down. I really need to learn how to do more fancy dos! I’ve tried dry shampoo before and couldn’t get the hang of it. I wonder if I use this if it would make a difference to my hair. 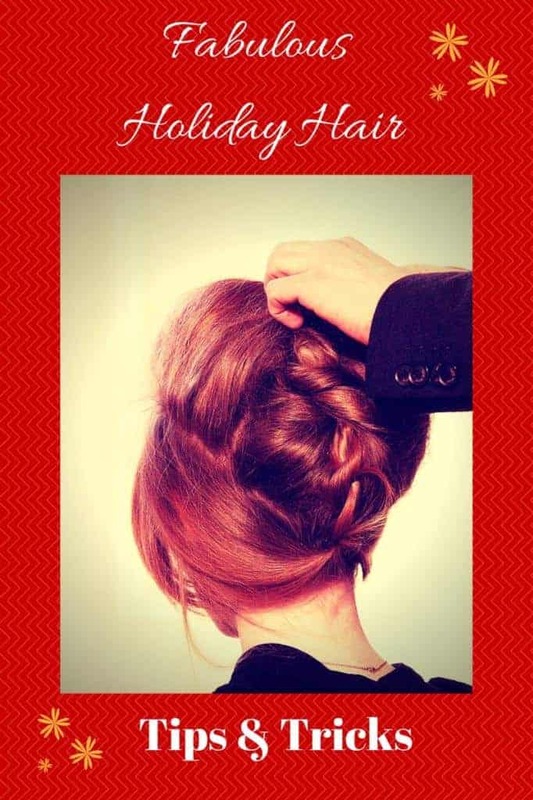 I can’t wait to use these tips to get a great holiday hairstyle this year. I love having gorgeous hair during this time of the year. I have been hearing raving reviews about dry shampoo and really want to give it a try. I will look into this kind. I need fabulous hair! My hair has been … blah lately! I’ll have to try these tips! These are great holiday hair tips, I LOVE a good dry shampoo! One of my favorite holiday hairstyles is a super slicked back pony tail, so pretty! I always throw my hair in a messy bun. I need to experiment more! These are great tips. My hair is super short so I don’t have much I can actually do with it anymore. Awesome tips and ideas, I’d love to try these out! My hair is not long enough to put up. My daughter could use this dry shampoo. I think I need to try that dry shampoo. As I’ve gotten older, my hair is better off when it’s washed less but I don’t want it to feel dull. This sounds like a great alternative to regular shampoo! I haven’t used a dry shampoo in many of years but I would like to have one around in case I need it. I am going to buy this just for those times when you need a bit of a boost. I’m so terrible with my hair so anything to help is all for! I have more hair than I know what to do with. LOL I can always use some tips and ticks for what to do with it, especially because it has gotten so long. Dry shampoo has always been my go to for holiday hair. Keeps me looking fresh even when I don’t have time to re-wash my hair. I love that updo! My hair oil is a must for smooth hairdos. It has taken most of my life for my to appreciate my naturally wavy/curly thick hair. I used to spent countless hours coloring it (to make it lighter) and straightening it. I still do blow outs from time to time, but mostly I just wear it natural. I have one can of dry shampoo that I don’t use very often, but when I use it, I do find that it works much better when my hair is texturized! I am awful at putting together hair styles (and I’m not sure my hair likes it much either as it never does what I want) but I Batiste is definitely a trusty sidekick.